Heurich’s was the classic American immigrant success story. He moved from Germany to the U.S. as a young man in the 1860s with $200 in his pocket. He would go on to become the largest private employer in the nation’s capital, and the granddaddy of D.C. beer. His brewery stood on the banks of the Potomac River in Foggy Bottom, and generations of Washingtonians drank Senate Ale and his other products. He was able to survive Prohibition by selling ice to Congress and local hotels and restaurants. Christian Heurich himself survived until the ripe age of 102. Unfortunately his brewery didn’t, because of the mass consolidation of the beer industry in the 1950s by companies like Anheuser-Busch and Schlitz. When the brewery was bulldozed to make way for the Kennedy Center, the District was left without any local beer to drink. Thirty years later, Heurich’s grandson created the Olde Heurich Brewing Company. It was brewed in upstate New York, but was best known in District bars for its Foggy Bottom Lager. Gary Heurich tried to reignite D.C.’s historical memory of its hoppy past, but he was ahead of his time for the local craft brew revival, and was forced to shut down operations in 2006. Fast forward to 2011, when DC Brau became the first new brewery to operate within Washington, turning the District once again into a beer town. 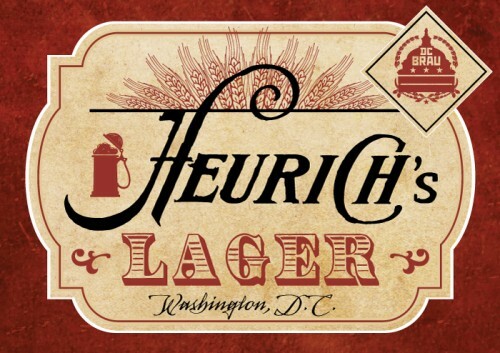 This year DC Brau honored the original Brewmaster by resurrecting some of his ingredients and techniques, and produced a limited run of Heurich Lager. They tapped the last two kegs of it at Heurich’s historic home, and I’m glad I had the opportunity to taste it (it gets a big thumbs up from Historic District). At History & Hops, you’re able to drink while you tour. It’s probably a curator’s worst nightmare, but I suspect a model that could boost flagging attendance at historic sites everywhere. It had been a while since I last toured the Brewmaster’s Castle, and nothing had changed – which is the marvel and attraction of the place. It’s billed as the best preserved late Victorian home in the District, and it’s pretty much as it was when Heurich died in 1946 – with almost all original family furnishings. 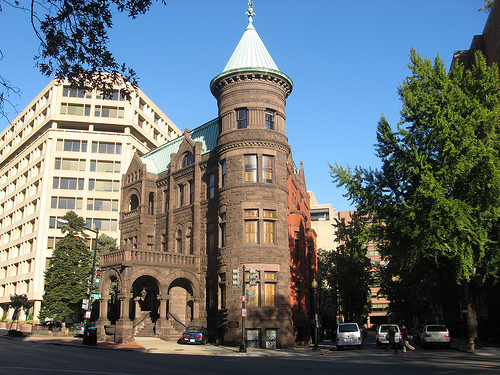 It certainly helped that the Historical Society of Washington, D.C. was headquartered there until 2003. Today it’s owned once again by Heurich descendants, and the gracious hostess who greeted our tour was none other than Christian Heurich’s granddaughter, who had lived in the house as a child. See my photos below for a sampling of the evening and the amazing Heurich House. And be sure to check out its Christkindlmarkt – an open house with traditional German Christmas decorations, dessert, and local crafts – on December 6 and 7. And for beer lovers, History & Hops will be uncorked once again next year. Didn’t I take a photo of you in front of Heurich’s tomb?